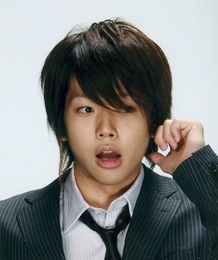 Member of Japanese boy band "NEWS". stella Feb 14 2011 4:39 am im a girl and a lot of people say that we're alike... well.. hi then..
nakachii45 Jan 06 2010 5:27 am he love doing sit-ups while sucking his fav. HONEY ! !